How Far is Brahmha Bauhinia Villas? Bauhinia Villas. 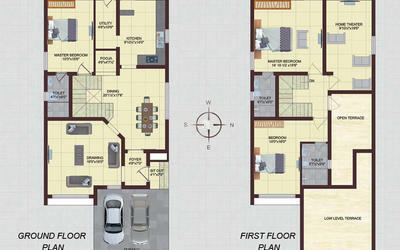 16 icons featured on our newest villa project at Kalapatti Road, behind NGP College, just 3 kms from Avinashi Road. 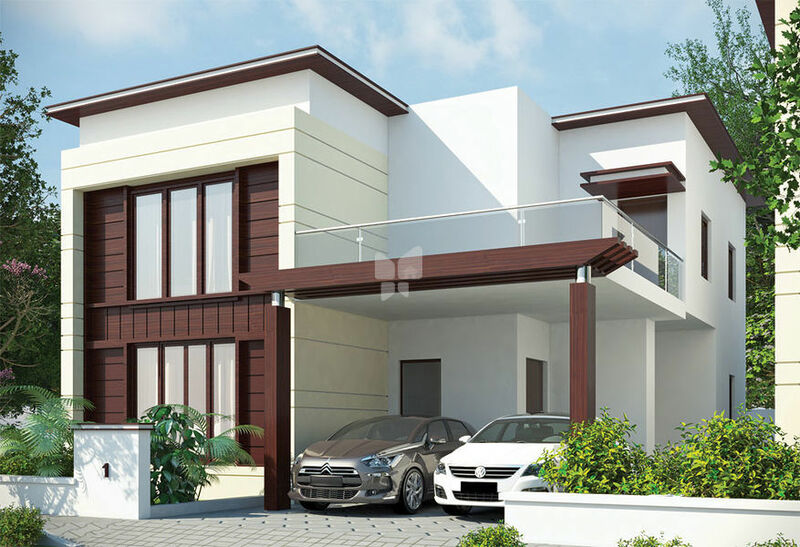 These contemporary villas will soon be the prized possession of Coimbatore’s privileged few! 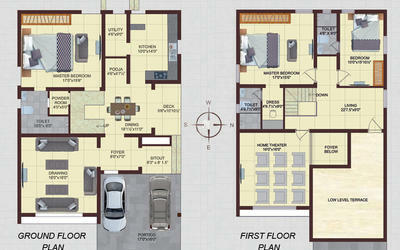 Each villa is customized according to client’s specifications and desires - to be a reflection of their graceful living. RCC-framed structure with earthquake resistant design (Seismic Zone 111). 9” and 4-1/2” thick plastered brick/fly as/solid block masonry. Facade to be finished with Glass & Texture as per Architect specifications. Exterior to be finished with Apex on all sides and elevation as per details. Putty finished smooth interior walls for all rooms. All balconies and stairways to have SS and Glass handrails. Branded Aluminium / UPVC with glazed shutters and MS-safety grills. Polished paneled main entrance door. Laminated flush doors for all other doors. One-sided water resistant doors for toilets and utility. Balconies and utilities to have matte-ceramic tiles. Polished Marble/Granite flooring for stairways. Paver block flooring for pavements and driveway and porch. Matte ceramic floor tiles and Designer tiles DADO till 7’. Chrome-finished pipe fittings & pastel colored sanitary ware for all toilets. Health faucets,hot and cold pipes with shower for all toilets. 4’ DADO using designer tiles for kitchen. Polished Granite table top with SS sink and 4’ DADO using tiles for utility. All pipe fittings JAGUAR or equivalent. All fixtures KOHLER or equivalent. Hot water plumbing for all toilets. Plumbing connectivity on terrace for Solar water heater. capacity is under the scope of the customer.